Unlike electroplating, electroless plating allows uniform deposits of coating materials over all surfaces, regardless of size, shape and electrical conductivity. Electroless copper and nickel-phosphorus deposits provide protective and functional coatings in industries as diverse as electronics, automotive, aerospace and chemical engineering. This book discusses the latest research in electroless depositions. After an introductory chapter, part one focuses on electroless copper depositions reviewing such areas as surface morphology and residual stress, modelling surface structure, adhesion strength of electroless copper deposit, electrical resistivity and applications of electroless copper deposits. Part two goes on to look at electroless nickel-phosphorus depositions with chapters on the crystallisation of nickel-phosphorus deposits, modelling the thermodynamics and kinetics of crystallisation of nickel-phosphorus deposits, artificial neural network (ANN) modelling of crystallisation temperatures, hardness evolution of nickel-phosphorus deposits and applications of electroless nickel-phosphorus plating. 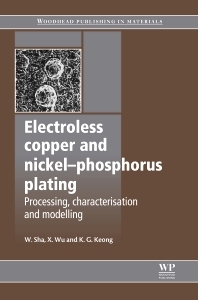 Written by leading experts in the field Electroless copper and nickel-phosphorus plating: Processing, characterisation and modelling is an invaluable guide for researchers studying electroless deposits or materials science as well as for those working in the chemical, oil and gas, automotive, electronics and aerospace industries. 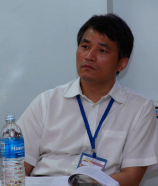 Dr. Kim Ghee Keong currently resides in Malaysia. All three authors are internationally renowned for their research and work in the electroless field.